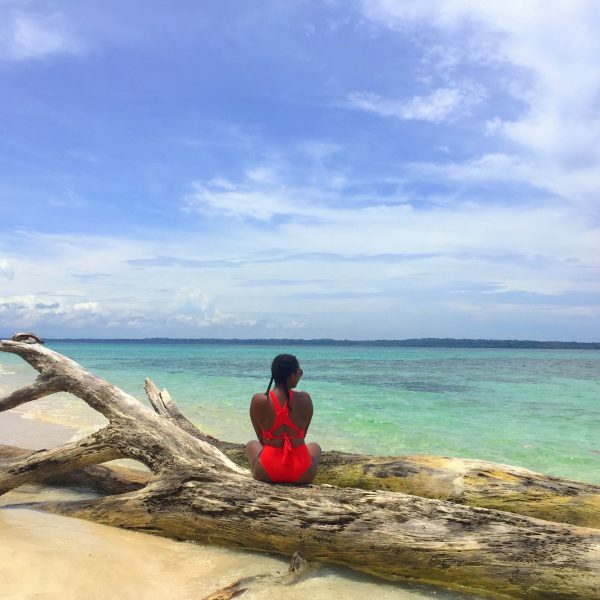 Let’s hear it for all the single ladies who are fed up with winter and yearning for some time in the sun but can’t decide between a warm coastal escape on the Caribbean or the Pacific shores. You might be surprised to know that you can have them both in Costa Rica. Situated in the lower portion of Central America and spanning both coasts, with Nicaragua to the north and Panama to the south, Costa Rica abounds in natural beauty, unique wildlife, and ancient culture to explore. Whether you’re up for a serious binge of eco-tourism or down for a relaxing spa experience by day and just plain fun by night, you’ll find it there. 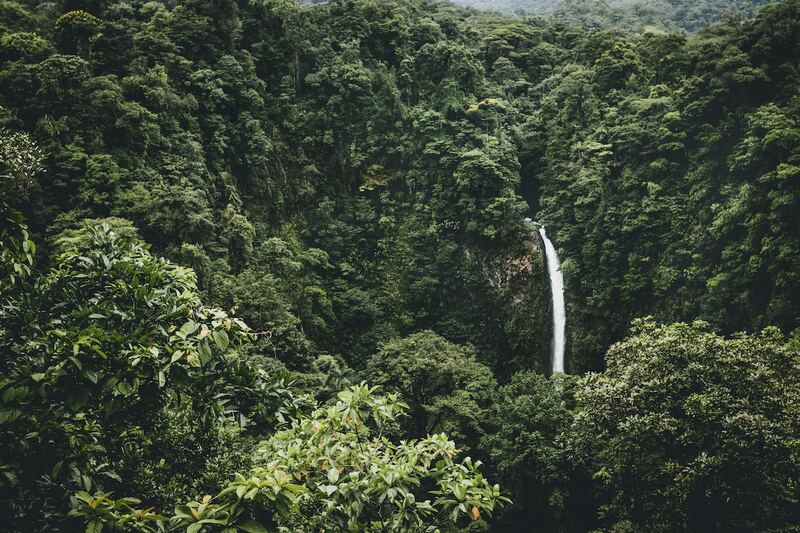 When you’re considering a trip to Costa Rica, here are the things to know! At about 20,000 square miles, Costa Rica is not that much larger than the country of Denmark. With a chain of volcanoes that run the entire length of the country, it’s divided into seven provinces that each has distinct natural characteristics and offers a diversity of experiences. Guanacaste, on the northwest “Gold Coast,” is home to near-perfect beaches and the most luxurious resorts in the country. 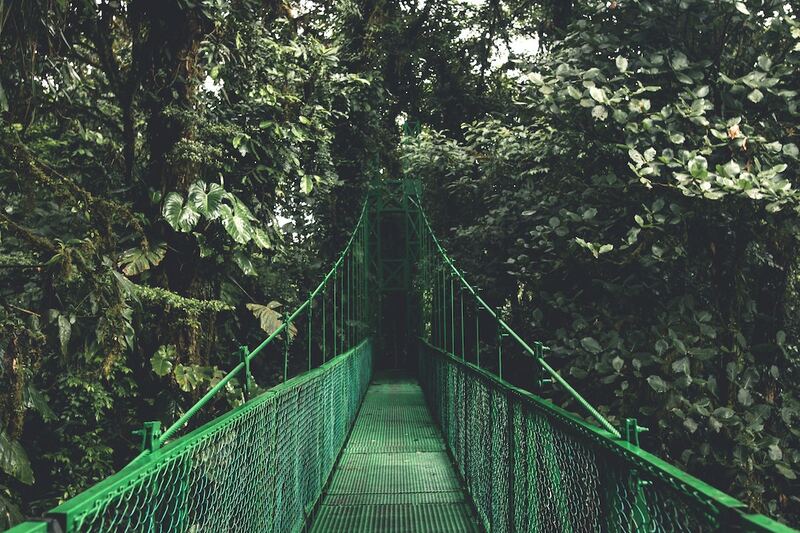 Alajuela and Heredia, inland from Guanacaste and bordering Nicaragua, are where you’ll find the predominant part of Costa Rica’s pristine mountaintop cloud forest, one of the most unique environments in the world. The area abounds in lush coffee plantations as well as a number of hot springs created by the formidable Arenal Volcano. San José and Cartago make up Costa Rica’s central valley, where most of the population lives and works, many on the farms and ranches that thrive in the fertile soil and rolling hills. Limon takes in the country’s 125-mile Caribbean coast. The northern portion is rich in prehistoric rain forest and is the nesting ground of the famous green turtles of Tortuguero. The southern portion of Limon is known for its white sand beaches and vibrant Afro-Caribbean culture. Despite its tropical beauty, Limon is one of the least touristy areas of the country. Puntarenas is the southernmost province, divided into two parts reaching along the Pacific coast to Panama. 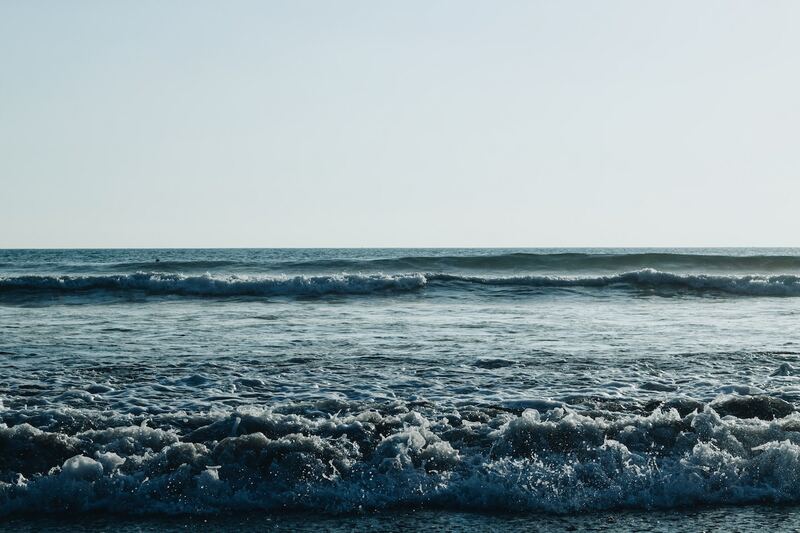 North Puntarenas is famed for its surf, with strong and consistent breaks that draw surfers from around the world. South Puntarenas offers extreme experiences of a different sort, with its Osa Peninsula home to virginal rainforest and one of the most biodiverse habitats on the globe. Costa Rica isn’t a “big city” kind of place. 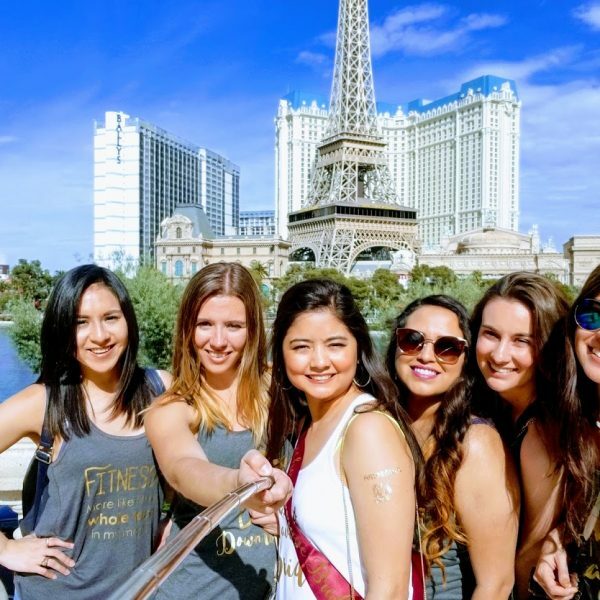 It’s got just a few, relatively small, metropolitan areas with the kind of urban accommodations, fine dining, and, let’s face it, shopping that you might be used to in other countries. But the cities are where you’ll find museums and other cultural attractions. San José is the capital and largest city, and, not surprisingly, is in the province of San José. 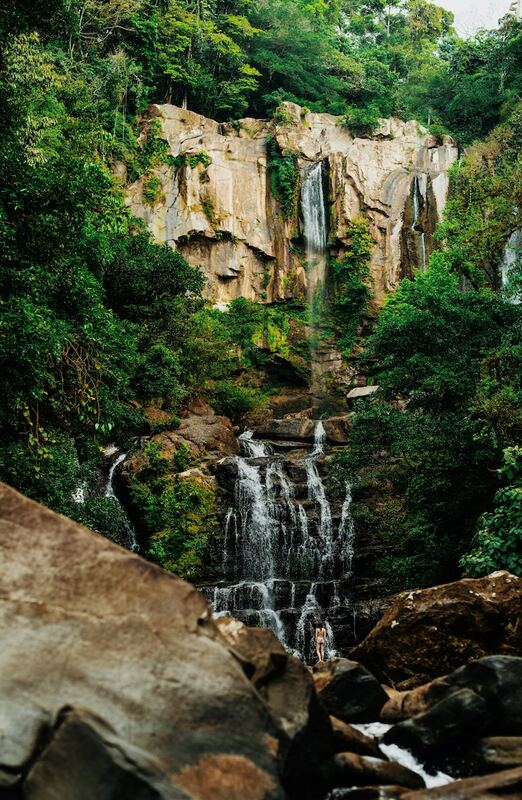 Chepe, as it is referred to by locals, is only about 100 years old, so it doesn’t have the old colonial architecture and monuments you might expect. What it does have, though, are many restaurants, treasure-filled museums, art galleries, theaters, and a lively night life. It’s also a good place to start a trip, as Juan Santamaria International Airport (SJO) in neighboring Alajuela is a hub for flights throughout Costa Rica. On the upscale side of things, Escazú, virtually a suburb of San José, is noted for having cosmopolitan amenities. It’s where you’ll find some of Costa Rica’s best cafés, restaurants, and boutiques as well as the huge Multiplaza with movie theaters and as many shops to visit as you can stand. The eponymous capitals of other provinces like Alajuela, Heredia, and Limon all boast their own charms as well as tourist services. Dynamic street life, farmer’s markets, festivals, and proximity to the country’s many natural attractions make them musts for your itinerary. It’s the gorgeous natural setting and unique wildlife that draws most vacationers to Costa Rica. 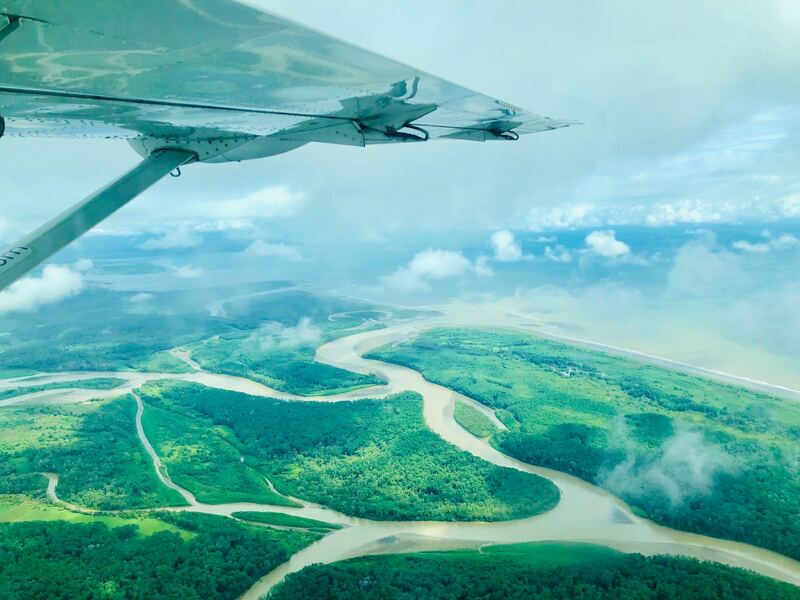 With over 500,000 plant and animal species, it’s one of the world’s most biologically diverse countries, and its conservation policies are aimed at keeping it that way. 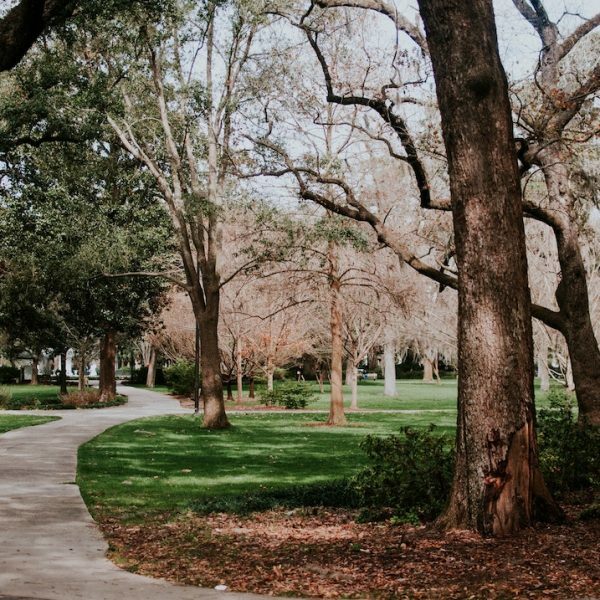 An extensive number of national parks and preserves dot the country; you can explore them on your own or join guided tours that are available year-round. 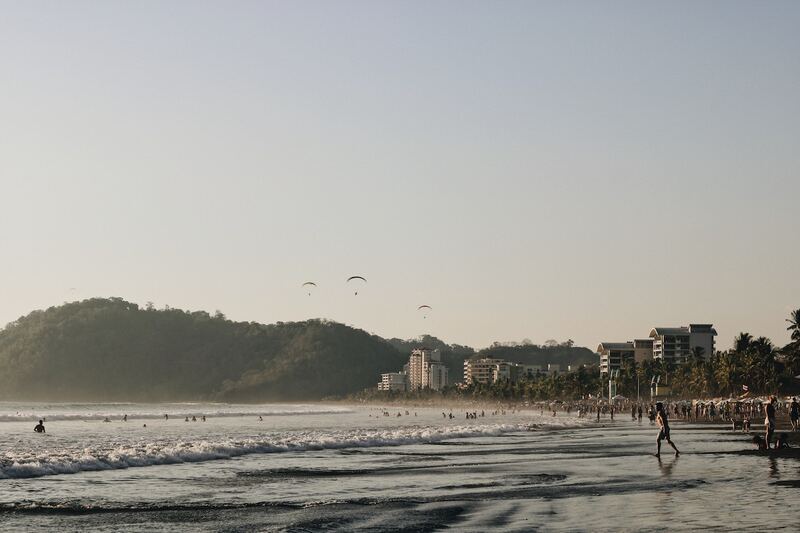 In addition, Costa Rica offers all the active warm weather sports you can imagine both on land and on the water. There’s horseback riding, ziplining, hiking, climbing, cycling, golf, and hot air ballooning as well as fishing, diving, surfing, whitewater rafting, kite sailing, kayaking and stand up paddle boarding in locations that will take your breath away. Beachfront hotels offer a textbook tropical vacation with direct access to sand and sea. Pass the Pina coladas, please, and don’t wake me until it’s time to leave. Ecolodges provide a respite from civilization where you can wake up in a rainforest jungle, on a coffee plantation, or even in a treehouse. There are also facilities that offer eco-camping as well as glamping. At eco-lodges you’ll find activities with a low-impact on the environment, like hiking, snorkeling, and tours of flora and fauna, as well as locally sourced and seasonal dining. Yoga hotels focus on health and wellness, with classes as well as weeklong retreats. The spa meals and tranquil environments will refresh body and soul. Farm hotels are just that: hotels and cabins set on working farms. You can help milk a cow, feed a horse, or harvest fresh vegetables… or you can just watch and see how it’s done. Some farm hotels are rustic and some are quite sophisticated with all the amenities you’d expect from a resort, albeit with livestock grazing on the grounds. Vacation home rentals are also available in Costa Rica. Kick in with some friends and enjoy a private retreat in glorious surroundings. It’s always a good idea to study up a bit about a country before you visit so that you get the most out of the experience. You’re on your own for the whole story, but the cheat sheet version is that Costa Rica’s indigenous people came under Spanish rule in the 16th century and remained a Spanish colony until several changes of government led to its independence in 1847. Since then, and with uninterrupted democracy since 1949 (when it also abolished its army), it has remained one of the most stable, peaceful, and progressive nations in Latin America. Renowned for its eco-tourism, the country is the only one to meet all of the United Nations’ criteria for environmental sustainability and is among the greenest countries in the world. It generates over 98 percent of its electricity from green sources and plans to be carbon-neutral by 2021. Despite the country’s progressive policies, and the fact that Costa Rica is the safest country in Central America, human nature remains what it is. Women will always seem to be easier targets for criminals, even if they’re not, and machismo is persistent in this part of the world. Basically, pack your common sense along with your bathing suit. Don’t show a lot of skin. Unless you’re on the beach, it’s wiser to cover up and not dress provocatively. We all know what should be, but a firm grasp of reality is what will keep you safer. In rural areas, dressing modestly is also a sign of respect for the culture. Don’t react to catcalls. Local men may be quite vocal about their appreciation of your female form, but regardless of what your immediate reaction is, keep your eyes straight ahead and keep walking. Don’t sit alone at a bar. And don’t flirt with the locals. That’s tough stuff and not meant to take all the fun out of your trip, but be mindful of the macho culture and remember you’re not back home somewhere where everybody knows your name. 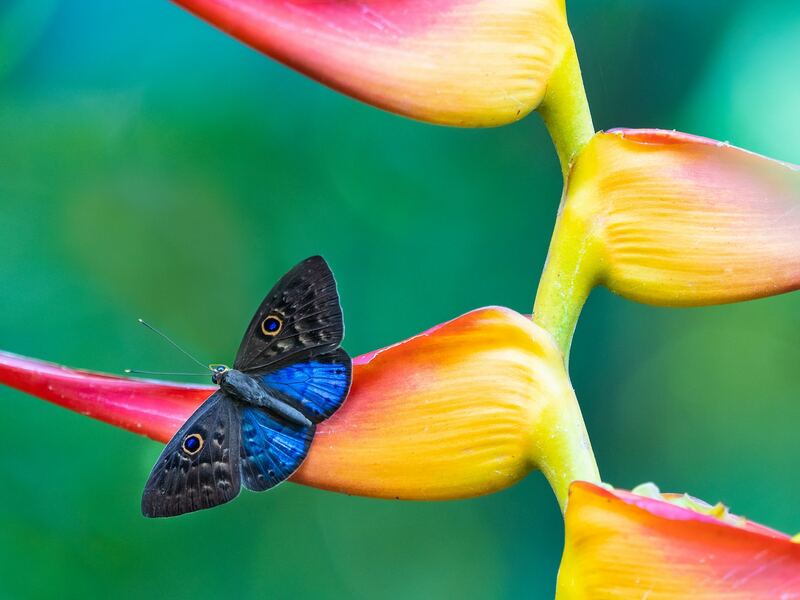 If you’re ready to go someplace where winter is only a word, the natural features are stunning, and life moves at an easier pace, Costa Rica may be just the place for you. 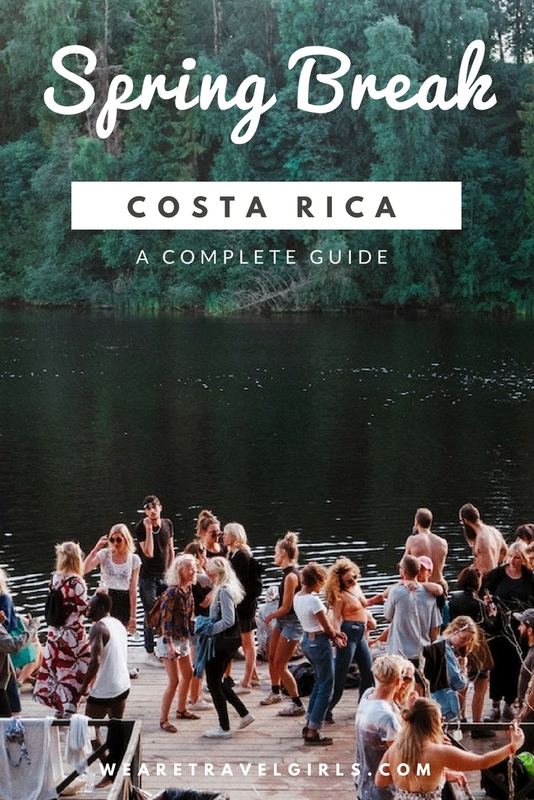 We hope that this article helped you planning your own Spring Break trip to Costa Rica If you have any questions about the destination please leave these in the comments below.